Thank you for taking the time to stop by and check out my stories. I’m still recovering from my recent website fiasco, but I should have this section updated soon. In the meantime, you can always follow my Amazon Author Page at: amazon.com/author/rbradyfrost. It was the end of the world. We just didn't know it yet. Is that not enough? Fine. I'll take you through those last, terrible hours. Who knows. Maybe you'll be the one who can save us from this nightmare. The Itch is a gritty zombie point-of-view story which details the viral outbreak that threatens humanity. This short story provides an engaging front row seat to the end of the world. Are you ready for the Zombie Apocalypse? It might happen sooner than you think. 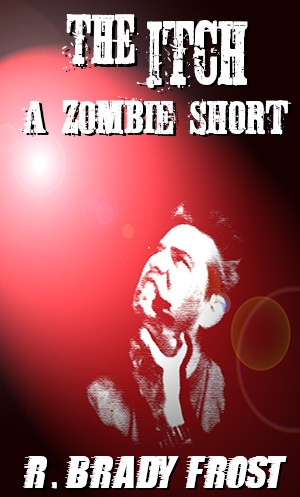 The Itch: A Zombie Short is currently available for FREE on the Amazon Kindle and other e-reader platforms.